Was anybody lucky enough to receive a bottle of a certain gorgeous Irish tipple from Santa? Well if not, then you may just want to buy some anyway for this delicious recipe. I actually made this for one of our bake club meetings earlier in the year, with the theme being ‘a surprise’. 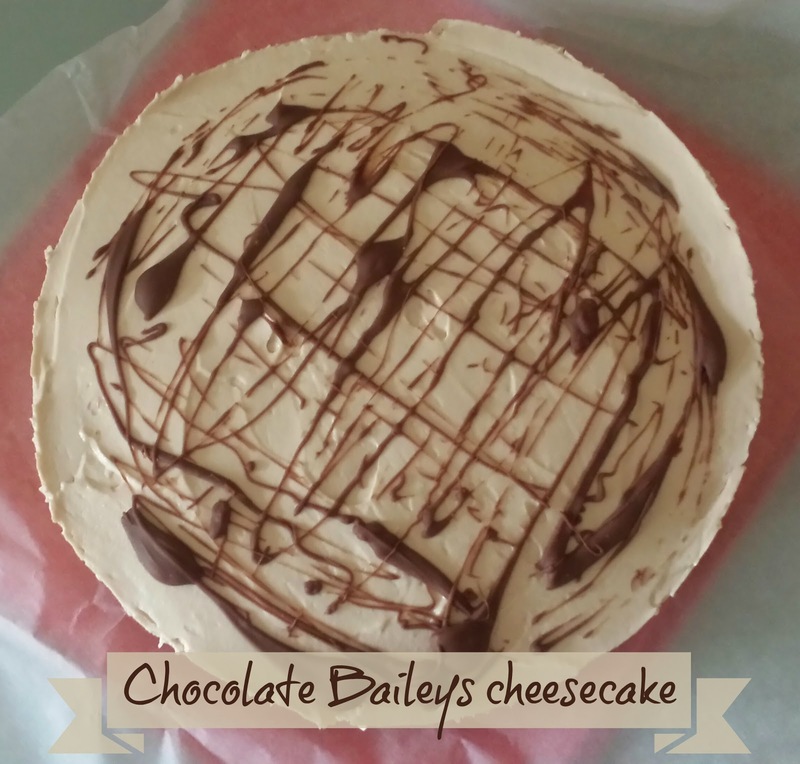 The surprise hidden inside this cheesecake is an absolutely perfect match to the Baileys Chocolat Luxe and it adds to the creaminess. I guarantee you will want to go back for seconds with this, although it is rather sweet & sickly, but then all great things are! Melt the butter and add the crushed digestive biscuits. Mix until well combined. Press the biscuit mixture into the bottom of a lined 18cm spring form tin. Allow to set in the fridge for around an hour. 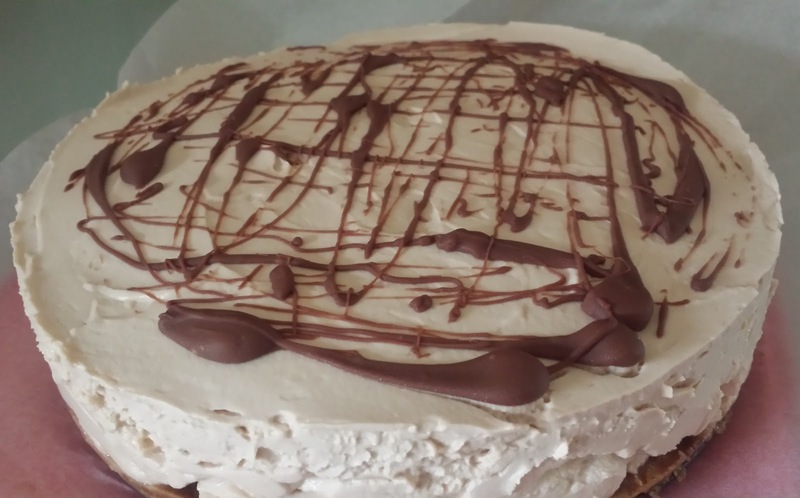 Lightly whip the cream cheese then beat in the Baileys and icing sugar, and then gently fold in the whipped cream. Place the Lindor balls at equal spaces around the edge of the tin, with one in the middle. It may help to ‘stick’ them down with a small spoon full of the cheesecake mixture to stop them from moving about. 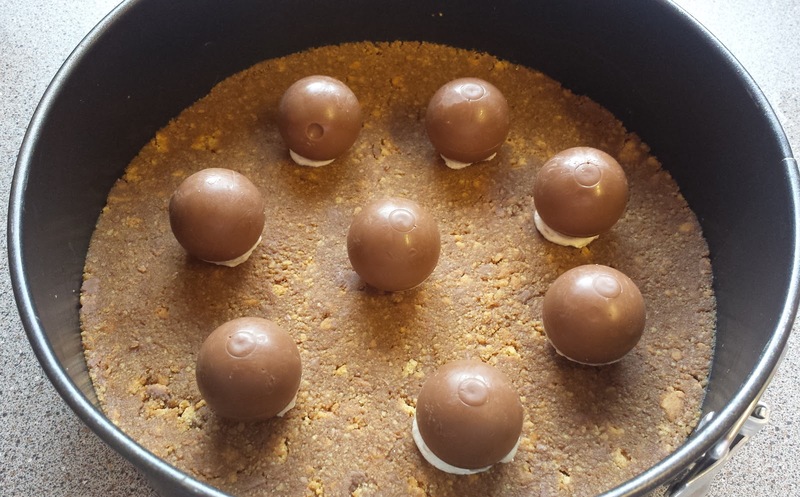 Carefully spoon the creamy mixture on top of the base and chocolate balls, gently shaking to make sure it is evenly spread. Place back in the fridge and allow to set for around another two hours. 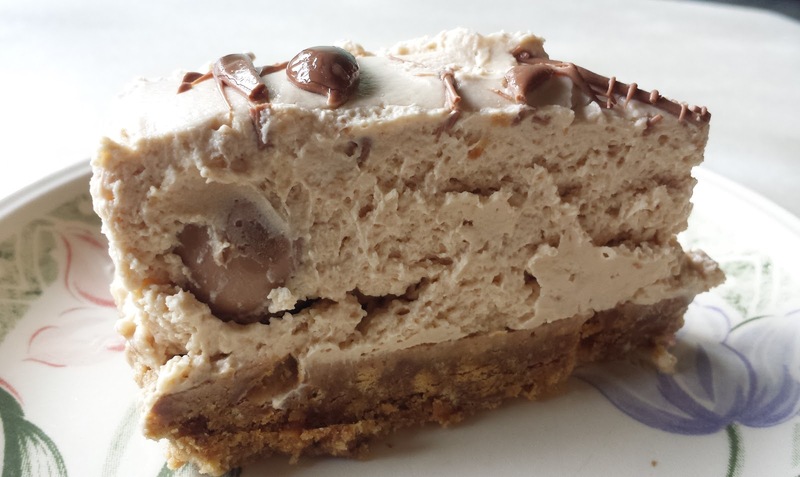 After the first hour, drizzle the melted chocolate over the top of the cheesecake and put back in the fridge.